Minas Gerais is one of the 26 states of Brazil. It ranks as the second most populous, the third by gross domestic product (GDP), and the fourth largest by area in the country. The states capital and largest city, Belo Horizonte, is a major urban and finance center in Latin America, and is the sixth largest municipality in Brazil, after the cities of Sao Paulo, Rio de Janeiro, Salvador, Brasilia and Fortaleza, but its metropolitan area is the third largest in Brazil with just over 5,500,000 inhabitants, after those of Sao Paulo and Rio de Janeiro. Minas Gerais is the Brazilian state with the largest number of presidents of Brazil; Brazils current president, Dilma Rousseff, born in Belo Horizonte, is one of them. With an area of 586,528 square kilometres (226,460 sq mi) (larger than Metropolitan France) it is the fourth most extensive state in Brazil. The main producer of coffee and milk in the country, Minas Gerais is known for its heritage of architecture and colonial art in historical cities such as Sao Joao del-Rei, Congonhas, Ouro Preto, Diamantina, Tiradentes and Mariana. In the south, the tourist points are the hydro mineral spas, such as Caxambu, Sao Lourenco, Pocos de Caldas, Sao Thome das Letras, Monte Verde and the national parks of Caparao and Canastra. The landscape of the State is marked by mountains, valleys, and large areas of fertile lands. In the Serra do Cipo, Sete Lagoas, Cordisburgo and Lagoa Santa, the caves and waterfalls are the attractions. Some of Brazils most famous caverns are located there. In recent years, the state has emerged as one of the largest economic forces of Brazil, exploring its great economic potential. Minas Gerais features some of the longest rivers in Brazil, most notably the Sao Francisco, the Parana and to a lesser extent, the Rio Doce. The state also holds many hydroelectric power plants, including Furnas. Some of the highest peaks in Brazil are in the mountain ranges in the southern part of the state, such as Serra da Mantiqueira and Serra do Cervo, that mark the border between Minas and its neighbors Sao Paulo and Rio de Janeiro. The most notable one is the Pico da Bandeira, the third highest mountain in Brazil at 2890 m, standing on the border with Espirito Santo state. The state also has huge reserves of iron and sizeable reserves of gold and gemstones, including emerald, topaz and aquamarine mines. Emeralds found in this location are comparable to the best Colombia-origin emeralds, and are most often a bluish-green color. The central and eastern area of the state is hilly and rocky, with little vegetation on the mountains. Around Lagoa Santa and Sete Lagoas a typical Karst topography with caves and lakes is found. Some of the mountains are almost entirely iron ore, which led to extensive mining (in some places at the expense of the environment). Recent advances in environmental policy helped to put limits to mining. About 200 kilometres (120 mi) to the east of Belo Horizonte is the second Metropolitan Region of the state, Vale do Aco (steel valley), which has iron and steel processing companies along the course of the Rio Doce and its tributaries. Vale do Acos largest cities are Ipatinga, Coronel Fabriciano and Timoteo. Now that mining is restricted large areas of forest are being removed for timber, charcoal and to clear land for cattle ranching. The original forest cover of these inland hills is very much fragmented. The city of Governador Valadares is in the limit of this region with the poorer North. The south of Minas Gerais is hilly and green, with coffee and milk production. This region is notably cooler than the rest of the state, and some locations are subject to temperatures just below the freezing point during the winter. The region is also famed for its mineral-water resorts, including the cities of Pocos de Caldas, Sao Lourenco and Caxambu. Many industries are located at Varginha and Pouso Alegre. The southeast of the state, called Zona da Mata (Forest Zone) was the richest region until the mid 20th century, nowadays the biggest city, Juiz de Fora, remains an important industrial, cultural and educational center, being also the fourth largest in the Minas state. The day-to-day living in the Zona da Mata however, is better represented by a group of smaller cities like Alem Paraiba, Vicosa, Leopoldina, Cataguases, Muriae, Uba, Astolfo Dutra and several others. Those cities put together form a strong economic presence based mostly on agriculture, textiles and minerals. The city of the principal coffee region in Minas Gerais is Sao Joao do Manhuacu situated in Zona da Mata. 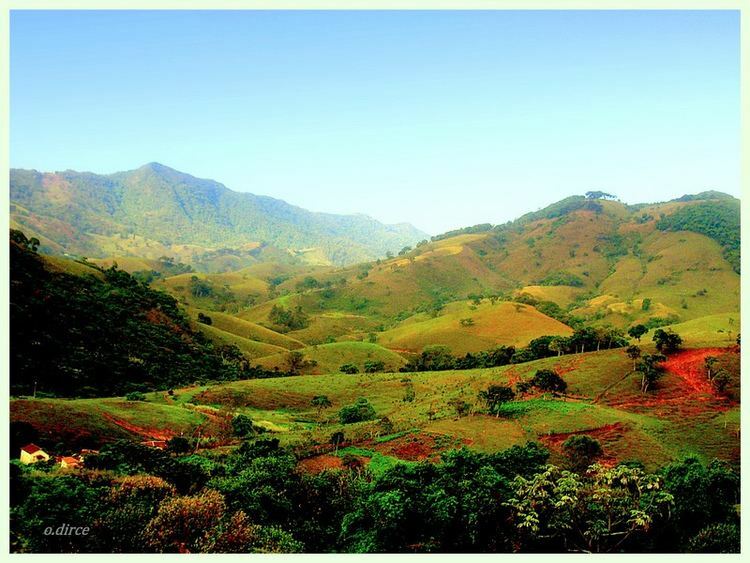 The west of Minas Gerais, also known as "Triangulo Mineiro" (which means "the Minas Triangle", due to the geographic shape of this region), is composed of a particular type of savanna, known as the Cerrado. This region was initially occupied by large free-wheeling beef ranches, which are still important for the economy of the region. Over the 1990s, extensive soy and corn farms occupied much of the farming land available. The Cerrado is also one of the principal coffee-growing areas of Brazil. The main cities of this region are Uberlandia, Uberaba, Patos de Minas and Araguari. The north of Minas Gerais is arid, being subject to frequent droughts. Recent irrigation projects use the water from the Sao Francisco river for agriculture; the river crosses the northern region carrying water from its basin in the central area of the state, which is subject to a regular rainfall pattern. The diamond mines of this region, mainly in Diamantina, attracted miners but are now exhausted, and the remaining population lives in poor conditions, especially in the valley of the Jequitinhonha River. The region is, however, known for its high quality cachaca production. Salinas in particular exports large amounts of this alcoholic beverage. The main cities of this region are Montes Claros, Teofilo Otoni, Pirapora and Janauba. Minas Gerais was formed mainly by colonists who searched for veins of gold (discovered 1693) and gems, and later diamonds which come from the naturally occurring itacolumite rock that can be found in great numbers in the region. These helped to boost occupation of the inner lands and led to the foundation of several new villages. In 1697, the Portuguese used enslaved African labor to start building the Estrada Real, the "royal road," that would connect the ports of cities of Rio de Janeiro and Paraty to the mineral-rich regions of Ouro Preto, Serro, and, at the northernmost point, Diamantina. The first capital and seat of the local see was the city of Mariana; it was later moved to Vila Rica. In the late 18th century, Vila Rica was the largest city in Brazil and one of the most populous in America. As the gold mines were exhausted over the 19th century, the city lost its importance; it was later renamed Ouro Preto and remained the state capital until the construction of the all-new, planned city of Belo Horizonte at the turn of the 20th century. The gold cycle left its mark in cities such as Mariana, Ouro Preto, Diamantina, Sabara, Tiradentes and Sao Joao del Rei. The relative isolation from European influence, added to the huge influx of gold and other valuable minerals, helped the local people to develop their own style of art, which became known as Barroco Mineiro. Prime examples of this period are the richly decorated churches in the colonial cities. The most important artist of this period was Antonio Francisco Lisboa, who became known as Aleijadinho. His sculptural and architectural work is highly valued by experts as one of the most refined artistic expressions outside Europe at that time. In addition to art and architecture, there was an explosion of musical activity in Minas Gerais in the 18th century. Printed copies of European music, as well as accomplished musicians, made the journey to the area, and soon a local school of composition and performance was born and achieved considerable sophistication. Several composers worked in Minas Gerais in the 18th century, mainly in Vila Rica (now Ouro Preto), Sabara, Mariana, and other cities. Some of the names which have survived include Jose Joaquim Emerico Lobo de Mesquita, Marcos Coelho Netto, Francisco Gomes da Rocha and Ignacio Parreiras Neves; they cultivated a style related to the classical European style but marked by more a more chordal, homophonic sound, and they usually wrote for mixed groups of voices and instruments. 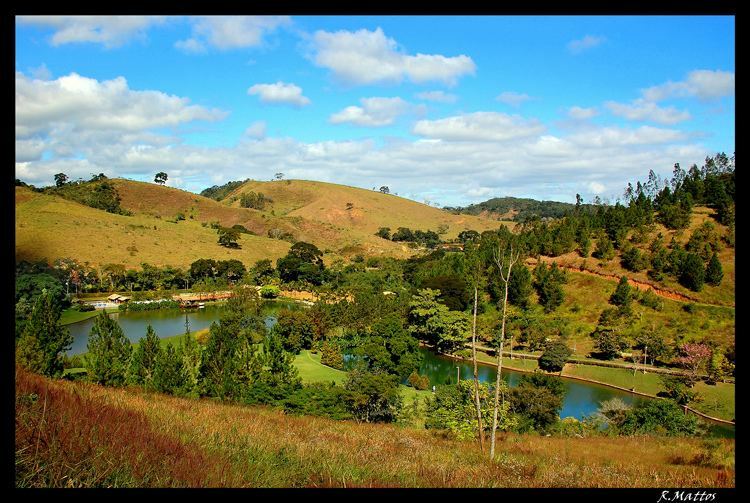 Guimaraes Rosas literature is mostly situated in Minas Gerais, with locations widely located across the State (hence the term General, although more concentrated in its north) rather than delimited and identifiable. This northern area began to be colonized (with brutal conflicts with the large Amerindian population who lived in some parts, especially in Vale do Jequitinhonha) and became accessible to colonists departing from Bahia up north, which made the Portuguese crown insert the region within the state of Minas Geraiss borders in order to prevent gold and diamond smuggling from people trying to avoid colonial taxation and oversight; thus the state of MG was closely watched by the crown because of its tax revenue. During the 18th century, mining exploration was strongly controlled by the Portuguese Crown, which imposed heavy taxes on everything extracted (one fifth of all gold would go to the Crown). Several rebellions were attempted by the colonists, always facing strong reaction by the imperial crown. 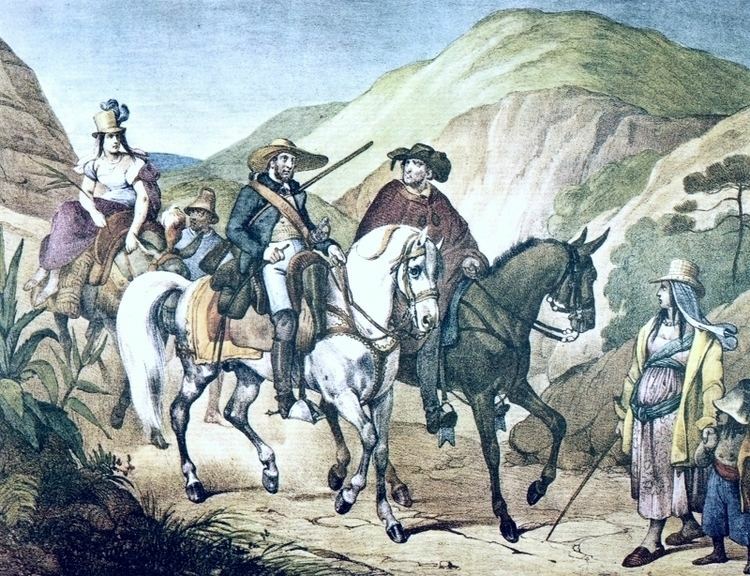 One of the most important was the Felipe dos Santos revolt that ended with his execution but also with the separation of Minas Gerais of Sao Paulo. The most notable one, however, was the Inconfidencia, started in 1789 by group of middle-class colonists, mostly intellectuals and young officers. They were inspired by the American and French Enlightenment ideals. The conspiracy failed and the rebels were arrested and exiled. The most famous of them, Joaquim Jose da Silva Xavier (known as Tiradentes), was hanged by order of Queen Maria I of Portugal, becoming a local hero and a national martyr of Brazil. The Minas Gerais flag — a red triangle on a white background, along with the Latin motto "Libertas quae sera tamen", "freedom albeit late" — is based on the design for the national flag proposed by the "Inconfidentes", as the rebels became known. In the economic history of Brazil, Minas Gerais plays a pivotal role in shifting the economic axis from the Brazilian northeast (based on sugarcane, that starts declining in the 18th century) to the southeast of the country, which still remains the major economic center. The large amounts of gold found in the region attracted the attention of Portugal back to Brazil, progressively turning Rio de Janeiro into an important port city, from where these would be shipped to Portugal and where the Portuguese crown would eventually move its administration in 1808 after Napoleon Bonapartes invasion of Portugal (see Transfer of the Portuguese Court to Brazil). Due to the economic importance of the state and the particular traits of the local population — famed for its reserved and balanced character — Minas Gerais has also played an important role on national politics. During the 19th century, politicians such as Jose Bonifacio de Andrada e Silva were instrumental in the establishment of the Brazilian Empire under the rule of Dom Pedro I and later his son, Dom Pedro II. After the installation of the Brazilian Republic, during the early 20th century, Minas Gerais shared the control of the national political scene with Sao Paulo in what became known as the "Coffee with Cream" (cafe com leite) political cycle (coffee being the major product of Sao Paulo, and cream representing Minas Gerais dairy industry, despite the latter also being an important coffee producer). Minas Gerais was also home to two of the most influential Brazilian politicians of the second half of the 20th century. Juscelino Kubitschek was president from 1956 to 1961, and he was responsible for the construction of Brasilia as the new capital of Brazil. Tancredo Neves had an extensive political career that culminated with his election in 1984 to be the first civil president after the 1964 military countercoup. However, he died after a series of health complications just as he was about to assume the position. Also, Itamar, Brazils previous president, lived there, though he was not born in Minas. Minas Gerais may be called Deep Brazil by analogy with France profonde. It has a distinctly more native flavour than cosmopolitan Sao Paulo, a more traditional slant than flashy Rio de Janeiro, and is more Portuguese than the South and Sao Paulo with their great influx of Italians and other Central Europeans, the North with its native Americans, or the Northeast with its heavy Afro-Brazilian influence. 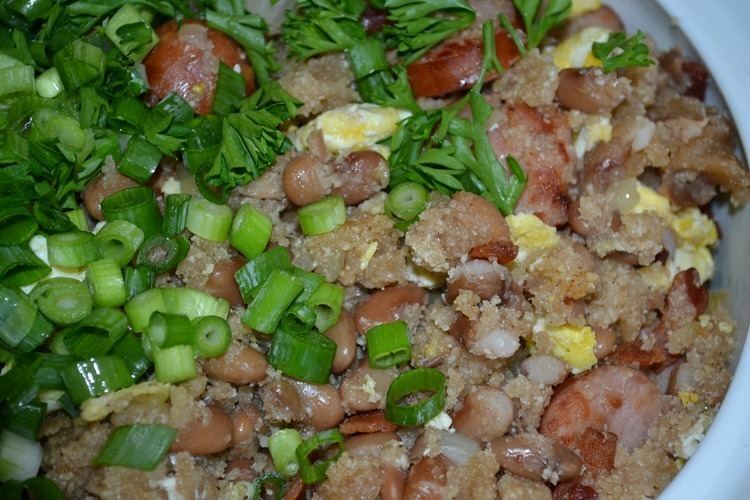 Many of the cakes and appetizers of the local cuisine use corn or cassava (known there as mandioca) flour instead of wheat, as the latter did not adapt well to the local weather. The best-known dish from Minas Gerais is "pao de queijo", a small baked roll (known internationally as "Brazilian cheese rolls") made with cheese and cassava flour that can be served hot as an appetizer or for breakfast. The state is also Brazils most traditional producer of cheese. Minas cheese is renowned nationwide as the distinct Brazilian cheese. Cachaca is also a local produce of some importance. Mariano Procopio Museum, in Juiz de Fora, and Centro de Arte Contemporanea Inhotim, in Brumadinho, are among the most important cultural institutions.